Mutants intrepid leader returns...Planes, Trains and Automobiles: a classic John Candy / Steve Martin comedy from the eighties or an apt description of the lifestyle of the worlds best DJs? The answer, although from different generations and situations, is obviously both. Look at the website or Facebook of your favourite DJ these days and it isnt a question of if theyre going to be at a club near you soon, more what country are they in this week? 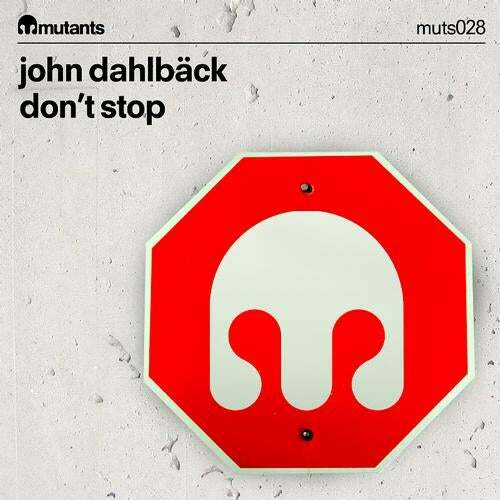 No finer example of this can be found outside of John Dahlback, Mutants renowned head-honcho who now makes his official return to the label - with a track born out of his exciting, yet hectic, touring lifestyle. And, to be specific, his American adventures in particular, so perhaps not that different to the original Planes, Trains and Automobiles after all! I did a major tour of the U.S. at the back end of 2012 and it really inspired me, he explains, Its well documented the scene is kicking-off over there in a major way and theyre really not kidding. I had the most fantastic experience where everything I played went down a storm. I got back home into the studio wanting to make a straight-up club record. No vocals in the traditional sense (which I seem to have done quite a lot of lately), just a pure, big room anthem!The result, Dont Stop is a typically gargantuan offering. If it had been born an American it would come from Texas, where they apparently do everything bigger. Electro stabs, a pitch-shifting spoken word (that provides the title) and an extended drum-roll all combine to create a very immediate start that ascends to a breakdown destined to provide many a clubber with a track they wont forget in a hurry! Or, as John so aptly puts it, Its all about the goose bumps and that moment where you involuntarily find yourself with your arms in the air! And to make damn sure he covers all bases, JDs also provided a chunkier, slightly darker Dub, which he says is, For the later hours... Although, were inclined to ask, just how long can peak time last for John!? !